Nomad’s S-307 (“S” is for the Sumatra wrapper, “307” for the square mileage of Estelí, Nicaragua) is the company’s first full-production Nicaraguan smoke, handmade at Tobacalera A.J. Fernandez. In addition to its Ecuadorian Sumatra wrapper, S-307 sports an Ecuadorian Habano binder and Nicaraguan filler tobaccos. The line comes in five sizes: Toro (6 x 50), Robusto (5 x 50), Torpedo (6.5 x 52), Toro Grande (6 x 58), and Corona (5.5 x 46). The latter is box-pressed, costs about $7, and has medium- to full-bodied flavors of oak, black pepper, creamy peanut, cedar, and leather. The combustion properties leave little to be desired. I’ve had this cigar in one of my humidors for nearly four years. I’m glad I decided to smoke it. This S-307 Corona was spicy and satisfying. As we have since July 2006, each Friday we’ll post our sampling of cigar news and other items of interest from the week. Below is our latest, which is the 572nd in the series. 3) Tampa’s Ybor City is still impacted by its cigar heritage, even as its days as a center of cigar production have waned. Case in point is the soon-to-open, 38-unit Angel Oliva Sr. Apartments, being renovated from a historic wooden cigar factory. The structure, originally built in the late 1800s, was used more or less continuously for cigar production until 1999, including most recently by leading cigar tobacco supplier Oliva Tobacco Company. 4) Inside the Industry: Cigar retailer Famous Smoke Shop has unveiled a ring gauge and wrapper color guide to help consumers understand cigar length, smoking duration, girth, and wrapper color. The free tool is available here. Last year, the Pennsylvania-based retailer released a flavor wheel. Both resources are a product of Famous-owned Cigar Advisor. 5) From the Archives: Want to learn more about Ybor City? Read a book. For example: The Immigrant World of Ybor City, which was reviewed here. 6) Deal of the Week: StogieGuys.com recommends Bespoke Post, a monthly collection of awesome items (think fine bar accessories, shaving kits, workout gear, and more) delivered for just $45. Of note is the Churchill box, which features four cigars, an ashtray made of reclaimed wood, an odor-eating candle, cedar spills, and a cutter. Once you are signed up, there is no obligation; you can skip or purchase each month. Sign up now to be eligible for the April box. Macanudo is one of the most popular cigars in America, and the mild Macanudo Cafe and Gold blends (both of which feature a classic green and white band) are most closely identified with the brand. For better or worse, that popularity shapes the brand’s identity. The upside is Macanudo is a go-to for mild cigar smokers who know they will get exactly what they want. The commercial challenge has been expanding that successful reputation beyond mild offerings, especially as tastes have tended toward fuller-bodied profiles. Macanudo’s Inspirado line first debuted in 2004 for international markets; it wasn’t available in the U.S. until 2014. Keep in mind, unlike in the U.S.—where General Cigar/Scandinavian Tobacco Group (STG) also owns the rights to the Partagas, Punch, Hoyo de Monterrey, and other trademarks that originated in Cuba—the Cuban government still controls those marks overseas. That means Macanudo is far and away the best-known brand owned by STG outside the U.S. This may account for why Macanudo Inspirado was first marketed elsewhere. Now, as part of Macanudo’s 50th anniversary celebrations, a new Inspirado is rolling out. Called Inspirado Red, it sports an Ecuadorian Habano Ligero wrapper, a Nicaraguan binder from Jalapa, and well-aged filler tobaccos from Honduras and Nicaragua (specifically, 12-year-old Ometepe, 10-year-old Jamastran, and 5-year-old Estelí). Three vitolas will be offered: Toro (6 x 50, $6.99), Gigante (6 x 60, $7.49), and a box-pressed Robusto (5 x 50, $6.49). All are made at the STG Estelí factory. My first experience with this new line came in the form of a Robusto five-pack. The moderately oily wrapper has a rustic appearance thanks to a rough-looking cap, less-than-perfect seams, and a pretty extensive network of veins. At the foot, the pre-light notes remind me of milk chocolate. The cold draw is wide open; there’s almost no resistance. The initial profile is medium-bodied and woodsy with flavors ranging from dry oak and cedar spice to warm tobacco and some delightful roasted cashew. There is a bit of creamy sweetness in the background. At times, the short finish has some bitter notes. But when the cashew shines through, as it does about every three puffs, the taste is highly enjoyable and well-balanced. At the midway point, the Robusto starts to heat up considerably. The body remains medium, and the strength low, yet there’s heat in both temperature (perhaps a result of the ultra-airy draw) and cayenne spice. The finale is characterized by a retreat of heat, more earthy tones, leather, and dry wood. All the while the construction is solid, save for the flaky ash, which can fall off quite unpredictably. If you’re looking for a woodsy, medium-bodied experience that won’t break the bank, the new Macanudo Inspirado Red Robusto should be on your list to try. I rate it a respectable three stogies out of five. Handmade cigar industry groups supported President Trump’s appointment of Dr. Scott Gottlieb as the head of the U.S. Food & Drug Administration (FDA). Now they will see if that support was deserved. On Friday, the agency announced its intent to seek comments about reconsidering existing regulations of premium cigars. The 90-day comment period opens today (Monday, March 26) and runs through June 25. The Food and Drug Administration (FDA) is issuing this advance notice of proposed rulemaking (ANPRM) to obtain information related to the regulation of premium cigars under the Federal Food, Drug, and Cosmetic Act (FD&C Act), as amended by the Family Smoking Prevention and Tobacco Control Act (Tobacco Control Act), and regulations regarding the sale and distribution of tobacco products. 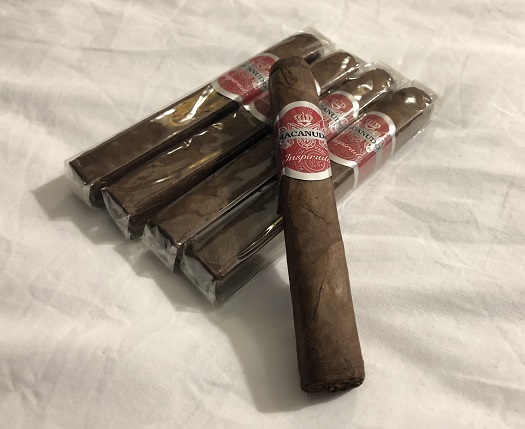 Specifically, this ANPRM is seeking comments, data, research results, or other information that may inform regulatory actions FDA might take with respect to premium cigars. 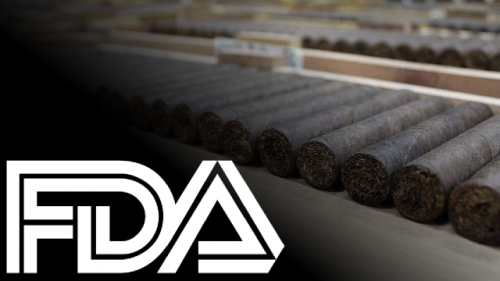 The document specifically asks for additional research that might not have been considered when the FDA made the decision to not exempt premium cigars from their deeming rules in 2016. It specifically notes the PATH study published last September that reinforced the idea that different types of cigars have vastly different usage patterns. Simply considering a premium cigar exemption, of course, doesn’t guarantee that the FDA will ultimately adopt one. The FDA notably considered and rejected such an exemption in its original regulation of cigars. However, the willingness of the new FDA leadership to spend time and resources considering rolling back its regulations is a good sign for those who make, sell, and enjoy handmade cigars. Over the next 90 days, expect a big push from the handmade cigar industry for comments urging the agency to adopt a premium cigar exemption. 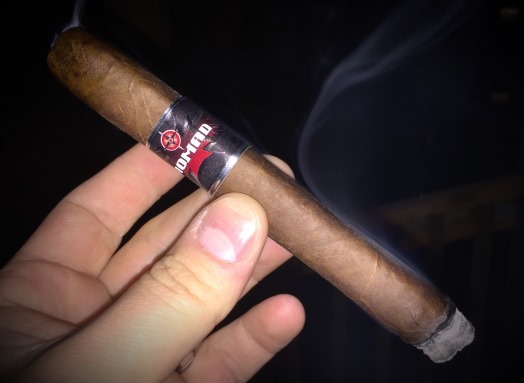 This cigar punches well above its weight. It is strong, flavorful, and satisfying—a complex blend in a slow-burning short robusto format. With a dark, oily wrapper from Ecuador and filler melding Dominican, Ecuadorian, and Peruvian tobaccos, the Corojo Oscuro Robusto (4.5 x 50) retails for $6.99. I experienced an excellent draw and burn, with smoke that was thick and rich. The cigar begins with a bit of char, some cedar, and a long finish. The cedar remained constant throughout, becoming mixed with notes of chocolate, coffee, and a nice tobacco sweetness. All in all, an excellent cigar. Described as a “classic old fashioned cigar” by Julio R. Eiroa, Aladino makes full use of Honduran-grown Corojo tobacco, the wrapper leaf once used extensively in Cuba. It makes for an interesting medium-strength smoke. The predominant flavors are a moderate level of spice and natural tobacco sweetness. Along the way, I also found some charred wood, nuts, and a little leather. Aladino comes in many sizes, each said to be blended for a somewhat different strength level. The Robusto (5 x 50) sells for about $10. As we have since July 2006, each Friday we’ll post our sampling of cigar news and other items of interest from the week. Below is our latest, which is the 571st in the series. 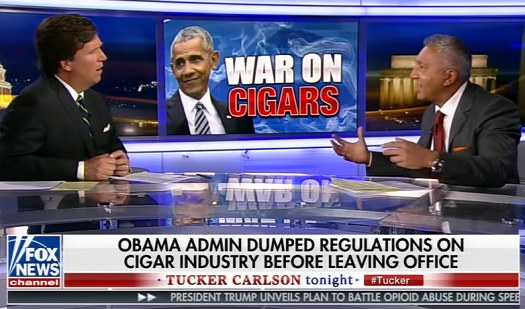 1) In a rare instance of the issue of premium cigar regulations taking center stage on television, cigar icon and Cigar Rights of America (CRA) board member Rocky Patel appeared on Tucker Carlson Tonight on Fox News Channel to advocate against onerous U.S. Food & Drug Administration (FDA) regulations. “Consumers, manufacturers, and retail tobacconists rallied around their televisions to hear the message of government overreach, economic harm, and the threat to jobs in the United States and abroad,” said CRA in an email. You can watch Patel’s entire appearance here. 3) Following last week’s nicotine reduction proposed rulemaking, this week the FDA announced another comment period regarding flavored tobacco products. Citing tobacco usage by youth and young adults, the rule could be the first step towards banning or regulating flavored or infused cigars. 4) Inside the Industry: Cigar Aficionado reports that 2017 cigar imports were the highest in almost 20 years. According to the annual Cigar Association of America (CAA) report, over 330 million cigars were imported, a 2.4 percent increase from 2016. For the second straight year, Nicaragua topped the Dominican Republic as the top importer of cigars, but both countries increased their imports. 5) From the Archives: As the FDA considers more regulations on cigars and other tobacco products, it is important to remember the FDA has a history of misrepresenting the facts surrounding tobacco usage and minors. 6) Deal of the Week: StogieGuys.com recommends Bespoke Post, a monthly collection of awesome items (think fine bar accessories, shaving kits, workout gear, and more) delivered for just $45. Of note is the Churchill box, which features four cigars, an ashtray made of reclaimed wood, an odor-eating candle, cedar spills, and a cutter. Once you are signed up, there is no obligation; you can skip or purchase each month. Sign up here in the next five days to be eligible for the April box.